The growth of three dimensional (3-D) printing technology brings opportunities scientific, entrepreneurial – even culinary. Some people are using the devices to build custom creations out of chocolate. “I don’t know if it’s good chocolate,” said Prabhjot Singh, Director of Additive Manufacturing at General Electric (GE), which uses 3-D printers to make parts for aviation and advanced energy-generation machinery – presumably out of non-edible materials. The process delivers performance while producing designs and prototypes for parts more quickly. Three dimensional printing uses a digital model to create a 3-D object by adding consecutive layers of material to it. That requires a digital model, raw material that can include plastic, metal and well, chocolate, and a personal or industrial-strength printer. Yes, you can build your own 3-D printer. 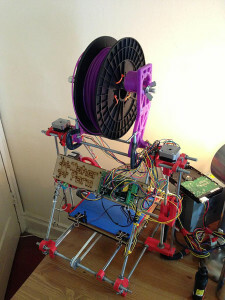 Below is the open-source self-replicating 3-D printer called RepRap – the genesis of most 3-D printers available today. 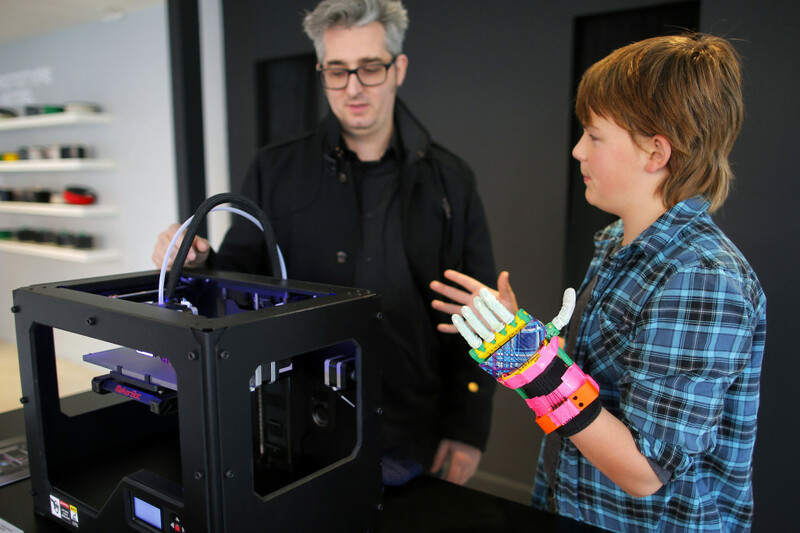 Despite the cost, some developing countries already use 3-D printers. Singh says India and China already have “pockets of their economies that are able to afford such machines,” while Brazil and South Africa are getting into 3-D manufacturing on a smaller scale. For GE, the advantages of 3-D printing for large aerospace applications can be “game-changing,”he said, although in his view, 3-D printing’s radical advantage is customization. “If you can customize parts to a user and … make it much better for that person to use that part, then that is quite revolutionary,” he said. The prospect tickles the imagination of Kate Ganim, Co-Director of mobile design education firm KIDmob and a team member of iLAB//Haiti, a non-profit group that helps Haitians prototype 3-D-printed umbilical cord clamps for clinics, build chairs without rulers or parts for broken machinery. She is excited about the potential of 3-D printing, particularly for bypassing “weak or corrupt infrastructures” in developing countries and for providing prosthetics – a great application in Haiti, says Ganim. Ganim says the group is “exploring how far we can push the technology” and would be interested in additional rapid prototyping technologies, as well as recyclers. iLab//Haiti hopes to harvest plastic from garbage, sterilize it and convert it into spools for printers. I think I’ll pass on that chocolate now.